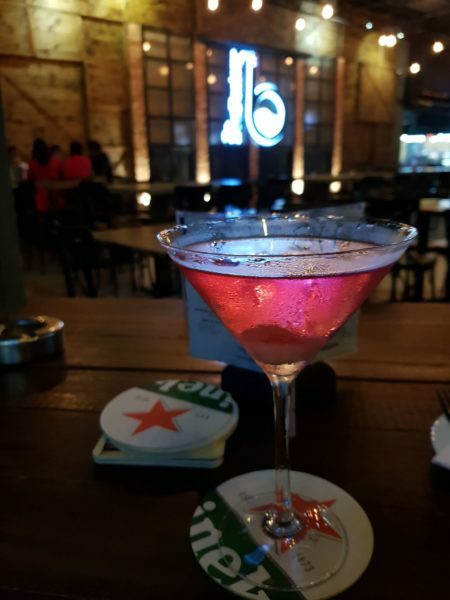 Beer Factory is a well-known restaurant / bar in Malaysia and they have several branches in the country, mainly in KL. They opened a branch in Melaka not too long ago near Kota Syahbandar, beside a Thai Mookata restaurant. 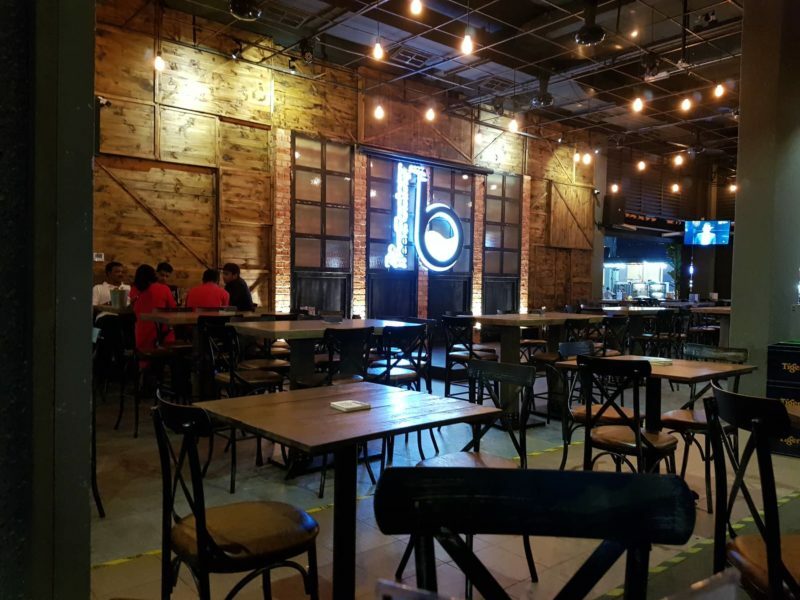 Here’s a brief review of Beer Factory in Malacca. This place is clearly non-halal as they serve both alcohol and pork. This is the interior of the place. It has the classic beer factory design with the huge “b” on the wall. The place is also big enough to occupy quite a lot of customers. This branch is situated at a rather new area of shop-lots, which means there’s plenty of parking here. The one above is one of their cocktails, i.e. 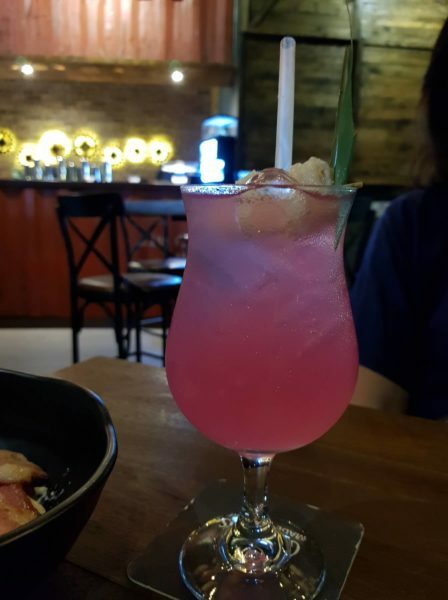 a mixture of lychee and rose, among others. Below is also a similar drink, but it’s a mocktail instead. If you’re not into mocktails or soft drinks, they do have fruit juices as well (subject to availability). As I’m new to Beer Factory, I was only expecting some snacks to accompany the drinks, rather than a wide array of food. 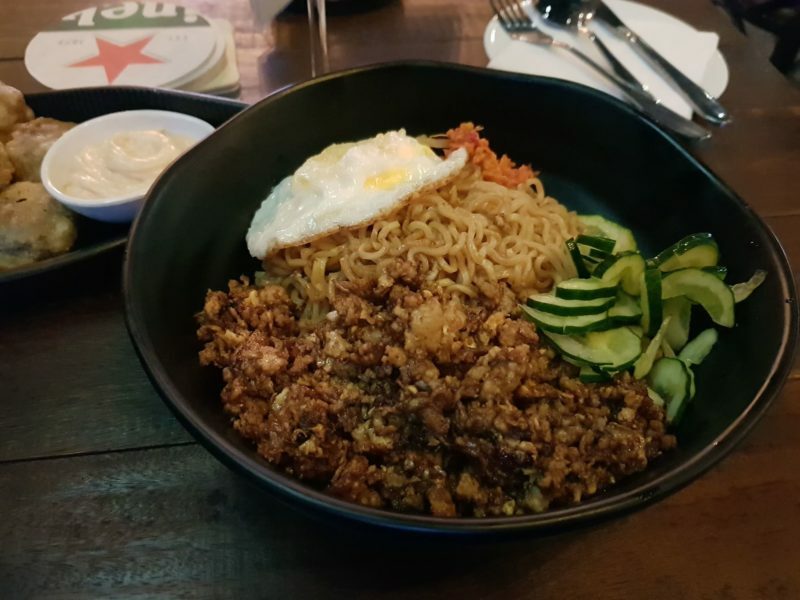 Surprisingly (for me), they have a lot of those western dishes, with some fusions like their variants of Indo Mee. They even have the platter that looks similar to the ones you find in Morganfields. 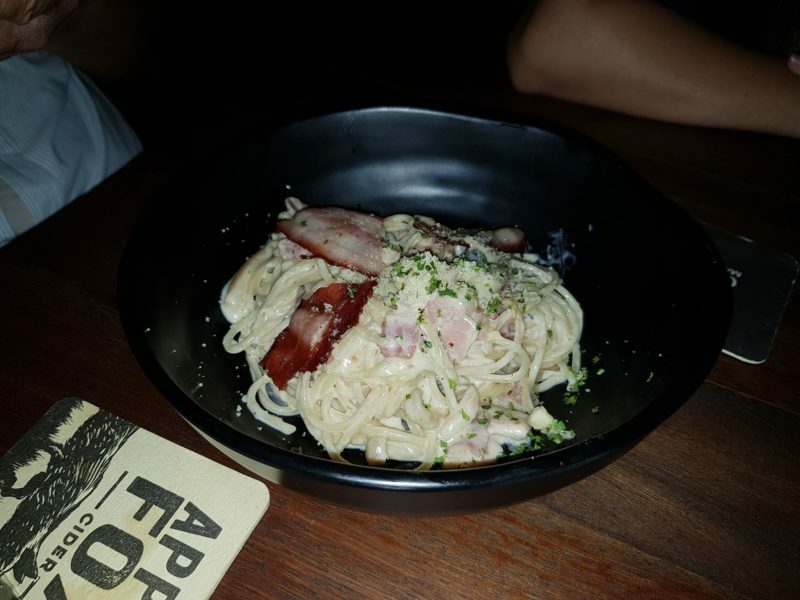 This is their bacon carbonara, which was pretty good. 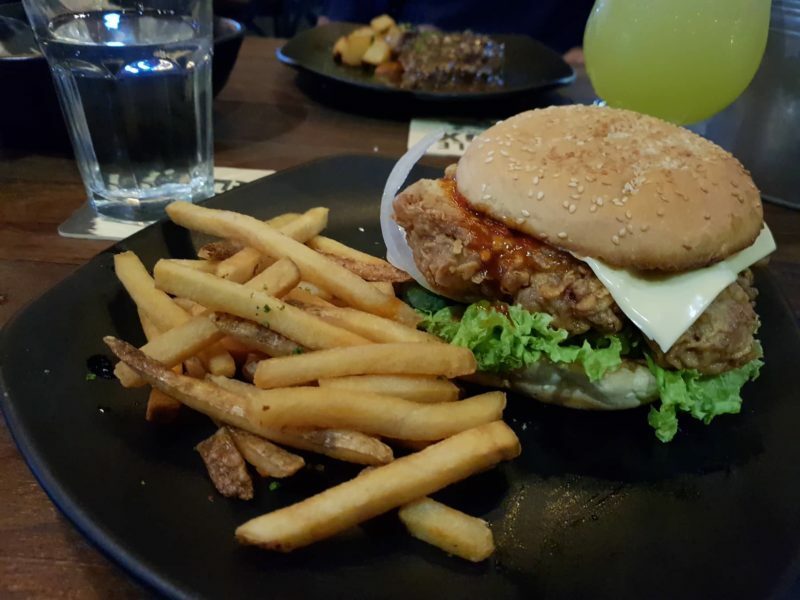 Below is their burger with fried chicken. The chicken is coated with a slightly spicy sauce which gives it a little kick. It’s worth a try if you love burgers. Next up is their Indo Mee dish with a fried egg, some minced patty and other ingredients. To be honest, it tasted more like Mi Sedaap rather than Indo Mee. Either way, it’s great for me. 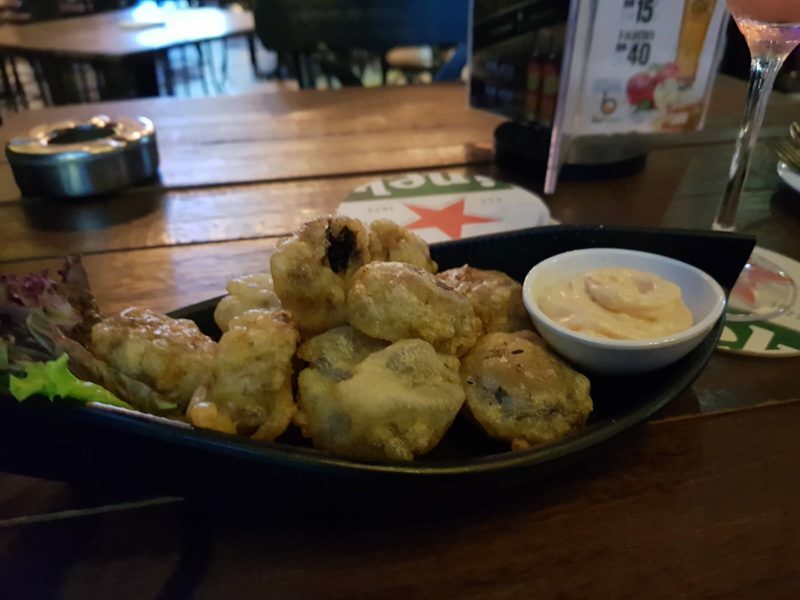 Beer Factory also serves a range of snacks, including this deep fried mushrooms. All in all, Beer Factory is a good place to hang out, not only for drinks, but for dinner as well.